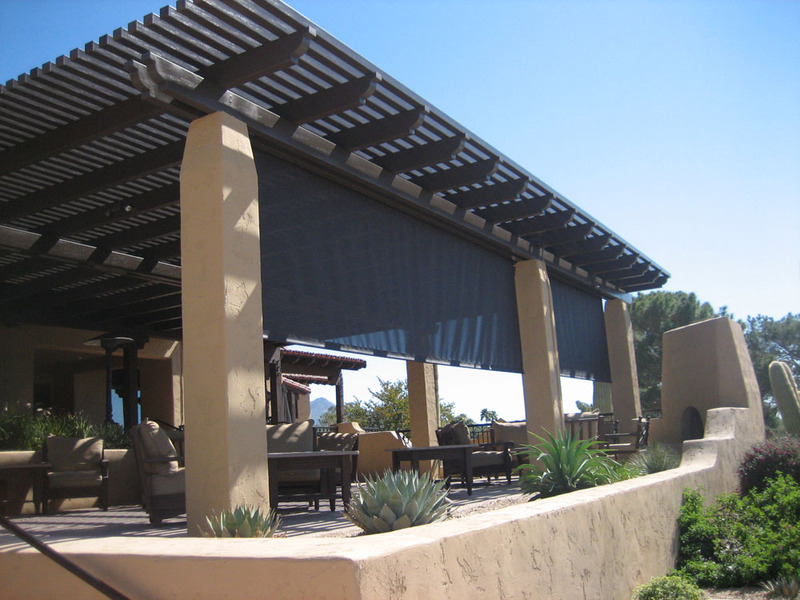 We offer professional sales and installation of Alumawood™ patio shade structures and aluminum patio covers in the metro Phoenix area. 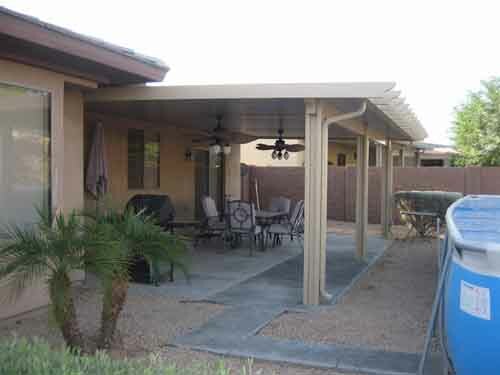 Ideal for the Arizona desert environment, Alumawood™ has the look of real wood, without all the drawbacks. 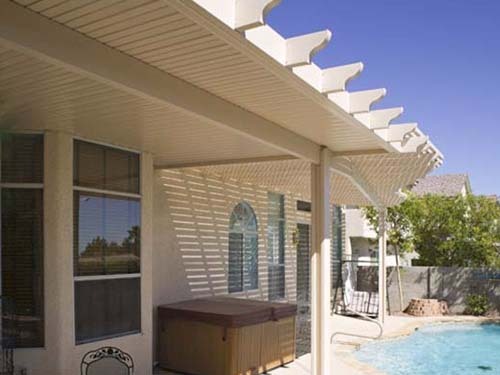 Alumawood™ stays looking new for years and years, so you’ll never have to worry about spending money and hours of back-breaking work to scrape, paint and repair your patio shade structure. 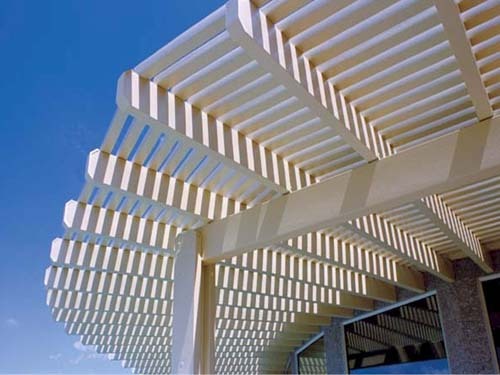 Additionally, using Alumawood™ is friendly to the environment because it helps preserve our nation’s forests. 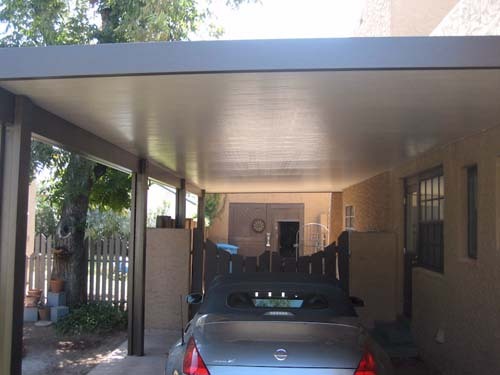 Best of all, it costs less than wood when you factor in maintenance costs and comes with a limited lifetime guarantee and one of the strongest paint warranties in the business. Already known for its durability, the Aluma-Shield(SM) paint system has added TEFLON® surface protector to provide extended longevity, superior durability, and minimum maintenance requirements…taking performance and dependability to new heights. 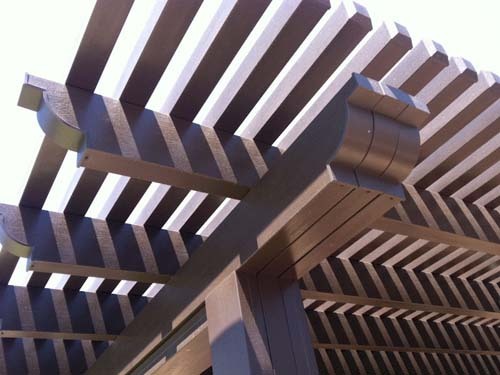 Unlike real wood, Alumawood™ aluminum patio covers will not crack, peel, warp, burn, or rot. They are also termite-proof and never need painting. It’s the best of both worlds – the beauty of wood and the convenience of a highly durable aluminum surface. 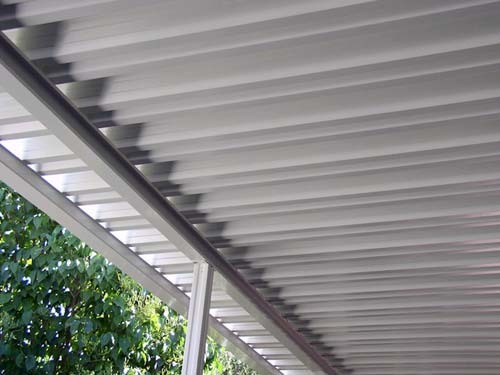 Whether you are looking for partial shade or full shade, we have the style and flexibility to meet your needs.